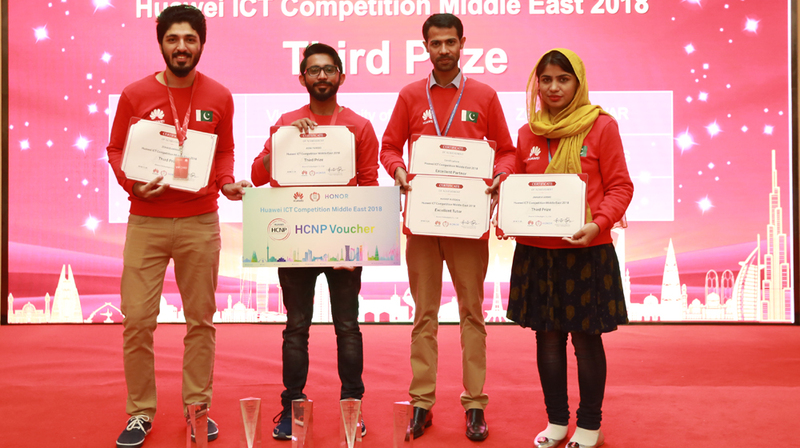 The top 6 students selected from Pakistan to participate in the Huawei ICT Competition 2018 Middle East International Finals which was held in Huawei headquarters in Shenzhen, China. Students and teachers from 13 Middle East Countries attended the opening ceremony at Huawei where the Director of Global Training and Certification Mr. Bradd Feng congratulated all attending teams to be winners and wished the students best of luck. The students took part in the 8 hours Final Exam on 24th November while Huawei arranged workshop and headquarter tour for the teacher Mentors. The Award ceremony held on 25th November in Huawei HQ office was attended by distinguished Huawei leader, Ambassadors and representatives of 13 Middle East Countries. 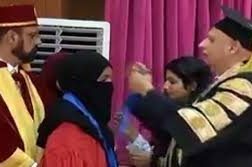 On the accasion the Counsel General of Pakistan in Guangzhou Dr Diyar Khan addressed the students and congratulated them for their achievement. He wished them best of luck for their future careers. Huawei ICT team, Pakistan departed from Lahore, highly motivated and focused for the International Finals, after passing different phases of the National competition. Zohaib Anwar, member of the third position holding team described his experience to be an excellent journey connecting him with the latest ICT technology, glorifying his vision and creating opportunities for his future career. Huawei in collaboration with Higher Education Commission Pakistan invited colleges and universities across Pakistan to participate in the ICT competition to promote the ICT industry technology certification, and develop the local ICT industry talent and ecosystem. In 2018, the 3rd ICT competition aimed to motivate more students into registering for the competition and polish their ICT talent. Huawei focused on holding awareness seminars, workshops, preliminary rounds, HCNA Training, regional and national exams of this year’s competition at Pakistan’s 14 running HAINAs.